The Little Northern Hotel is situated in the Northern Quarter of Manchester. We have 15 rooms most of which are en-suite. The Little Northern Hotel is above The Millstone Pub Hotel Manchester in the heart or The Northern Quarter, Manchester City Centre. The hotel has 15 rooms in total varying from single occupancy to quadrupple. Due to it’s location the hotel is suitable for both business use and leasure. It is a ten minute walk away from both Piccadilly and Victoria train stations as well as a five minute walk to the main bus station and tram stops to Old Trafford. The hotel being in Manchester’s “mini Soho” is surrounded my some of Manchester’s more bohemian bars and restaurants, where as The Millstone Pub below the hotel has a more traditional vibe with live music/DJ’s on most nights. For those looking for a shopping experience we are a five minute walk away from The Arndale Centre, Market Street and Deansgate. 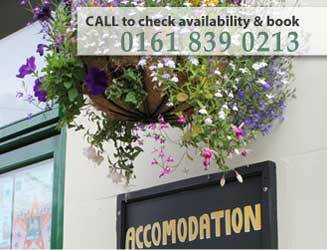 Lastly we are a ten minute walk away from The Printworks and The M.E.N. Arena for all those concerts! If the Little Northern Hotel is fully booked please visit The Lower Turks Head Hotel which is a 4 minutes walk away.